If you’re constantly battling acne, eczema, rosacea or any number of other skin disorders, the solution may be in your fridge — not your bathroom cabinet. 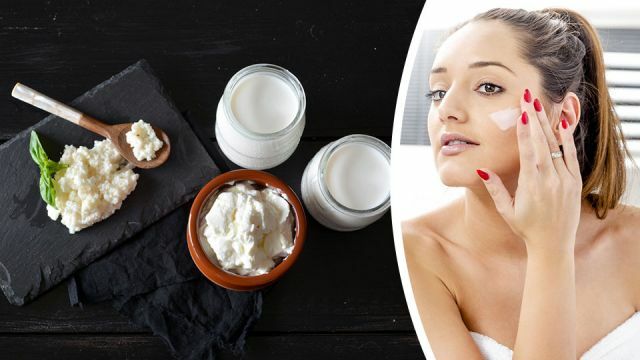 According to many progressive dermatologists, probiotic-rich foods like yogurt, kefir and kombucha can be even more effective in treating stubborn skin conditions than store-bought or prescription skin creams. By now, you’re aware of the critically important role that probiotics play in your health. Maintaining a healthy gut microbiome, for example, has been linked to improved immunity, greater insulin sensitivity, improved mental health and lower risk of autoimmune disease. Impressive stuff. It’s no great surprise, then, to consider that there’s a strong connection between the health of your gut and that of the largest organ — your skin! Scientists have even come up with a term to describe this curious link, called the gut-brain-skin axis. This knowledge is currently driving new natural therapies for common skin disorders like acne. With this in mind, one of the biggest steps you’ll ever take to improving the health of your skin is to establish a balanced gut microbiome. Doing so will reduce inflammation in your skin — one of the leading causes of most common skin conditions. Probiotics for your skin — is there a more direct route? But what if you took things a step further? What if you turned the gut-brain-skin axis into just the gut-skin axis…simply by applying probiotics directly to your face and other issue-prone areas of your skin? It turns out that such an extreme proposition isn’t so extreme after all. Back in 2013, researchers at UCLA took bacteria samples from 49 acne-prone and 52 healthy-skinned volunteers. They isolated over 1,000 strains of bacteria from those skin samples, from the good, the bad to the downright ugly. In this way, the skin microbiome mirrored that of the gut. But then things got really interesting. Over the course of their testing, researchers noticed that those people with a clear complexion had significantly greater numbers of a certain bacterial strain than those volunteers prone to acne breakouts. Can I just slap any old probiotic onto my face? So is it really as simple as reaching into your fridge and smearing a dollop of yogurt on your face? Probably not. Based on the research, it appears that you need to introduce specific strains of bacteria to your face and skin in order to prevent things like acne breakouts or bouts of eczema — and chances are, these strains don’t actually live in the common probiotic foods or supplements we eat. Luckily, there’s a range of pioneering companies out there that have jumped at this new research and now offer specifically-formulated topical probiotic products. A company called Probiotic Action, for example, offers a probiotic topical spray that’s designed to help with acne, eczema and rosacea. And they’re not the only ones — do your own research, and you’re bound to end up with a natural probiotic formulation that you can “slap” directly onto your face! Of course, that’s not the only way to guarantee happy, healthy skin. My approach has always been to support my skin from the inside by eating fresh, wholesome foods, eating plenty of fermented foods to supply my gut with beneficial bacteria, and staying well away from antibiotics. Beyond this internal love-thy-skin approach, there are other steps you can take. Avoid drying out or abrading your skin with excessive scrubbing and use of conventional soaps (is your skin really that dirty? ), don’t shower more than once a day and ensure the water isn’t too hot, and ditch conventional skin products that claim to moisturize and nourish the skin (but really just poison it and dry it out further). Always remember: natural is best! Hey Buddy!, I found this information for you: "Should You Put Probiotics On Your Face?". Here is the website link: https://www.thealternativedaily.com/should-you-put-probiotics-on-your-face/. Thank you.